It’s not too difficult to find a member of the mustard family (Brassicaceae) in the grocery store (kale, broccoli, radish, canola oil, horseradish, etc.). It’s not too difficult to find one in lawns, parks, woods, swamps, farmlands, meadows, and backyards either. Hairy bittercress (Cardamine hirsuta) is one of those cruciferous vegetables we can find with ease in Pennsylvania … even this time of the year. True to its name, the stems, petioles, and upper surfaces of its leaves are sparsely hairy (look closely, you’ll see it). Many cruciferous organisms provide a nice kick to the palate when eaten. This bitter taste (very apparent in the wild mustards) is created by certain sulfur-containing chemicals within the plants themselves, known as glucosinolates. These compounds, along with their metabolites, help to facilitate detoxification within our bodies, especially in the processing and removal of xenobiotics (chemicals that are foreign to our bodies). Glucosinolates and their metabolites also act as anti-tumor agents (Johnson 2002). Members of the Brassicaceae family are ubiquitous in nature (over 3,000 species worldwide). It may be a wise strategy to include some of these edible and medicinal allies into our diets, as studies have shown that increased intakes of cruciferous vegetables are associated with a reduced risk of prostate cancer (Kolonel et al., 2000), colon cancer (Voorrips et al., 2000), lung cancer (Feskanich et al., 2000), and breast cancer (Terry et al., 2001). And of course, studies routinely show that wild plants generally contain higher levels of nutritional and medicinal compounds than cultivated plants. 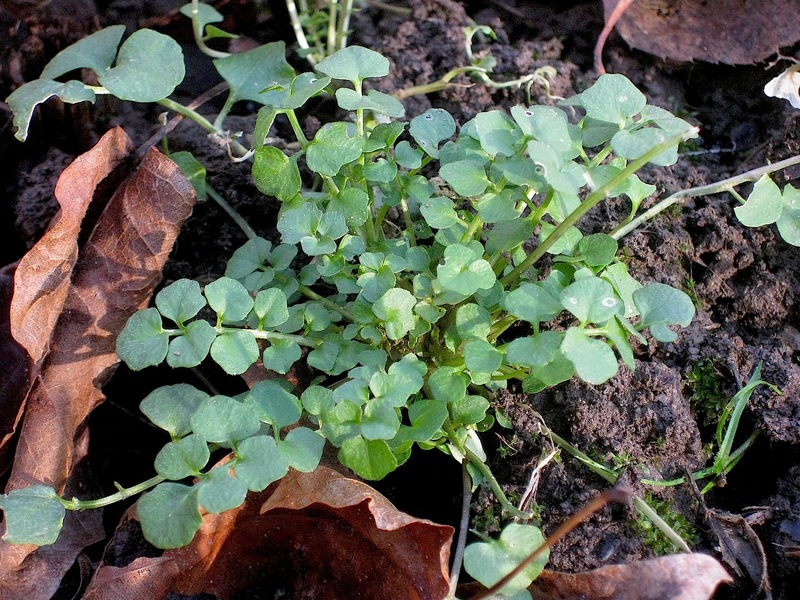 Meaning, in addition to kale and broccoli, get out there and harvest bittercress and other wild mustards! …it is the wild crucifer who acts as protector.